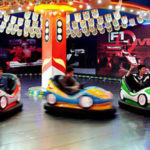 If you`re looking for a fun and exciting gift idea, then you can`t go wrong with remote control bumper cars. 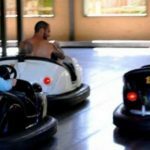 In this guide, we`re going to take a closer look at some of the best r/c bumper cars on the market, so you`ll soon be able to choose the best option for you. With this in mind, let`s take a look at some of the best ones currently available. 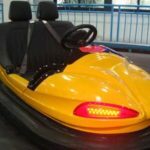 If you`re look for a twin pack of bumper cars that work well together, then this is a great option. At an affordable price of just $35, it`s one of the best value-for-money options, so it certainly won抰 break the bank. 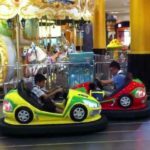 Each car comes equipped with it`s own controller, and when the cars collide with each other they have a fantastic rashing?sound effect that`s sure to delight your children – both young and old! 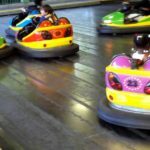 What`s more, the rider will eject when the bumper is hit, which only adds to the fun and excitement as the two cars chase each other around. Here`s another fantastic option if you`re looking for something that offers better quality, but still comes at a reasonable price. With a discounted price of $47 on Amazon, it`s certainly a great option if you want to keep your budget tight, but still purchase something of excellent quality. This option uses fans on the back of the car, which gives the illusion that they`re wind powered, although they`re actually powered via batteries. The controllers are very ergonomic and comfortable to hold for a long time – and you`ll certainly be enjoying these cars for a long time to come! 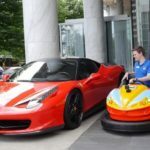 There`s also a sound effect played when the driver is ejected, making the toys very interactive and fun to play with. If you`re looking for something that`s best suited for younger children, this is a great pick. 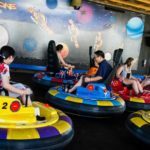 This set gives you two fully functional bumper cars, complete with ejectable drivers and crashing sound effects. However, it also comes with a 30 inch battle arena which makes the challenge greater – because it’s much harder to hide from your opponent. Additionally, you have multi r/c frequencies, which allows you to add up to 4 cars to the battle arena. Ultimately, this is a great way for all of the family to get involved on the action. This is another fantastic option, and at a price of only $38, it`s an absolute steal. 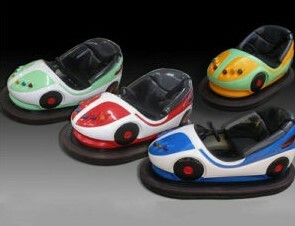 The cars look very detailed and futuristic, complete with an ejectable rider who leaps out at the point of collision. Of course, you`ll also have a brilliant sound effect that plays at the same time. These are great battle cars, which provide the perfect challenge for two competitive players. 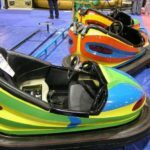 Overall, it`s safe to say that r/c bumper cars are one of the most have toys at the moment – and a child who receives these as a gift is sure to be delighted with the fun and thrills they provide.